It’s really easy, when exam season comes around, to get overwhelmed by everything you need to do. I know there’s a lot you need to do – I know there’s too much you need to do – and it’s really hard to stop that from completely overwhelming you, but my advice is to take things one step at a time. It’s really important when studying for exams to know how to manage your time to get everything you need to get done. When studying, the best thing you can do for yourself is focus on one piece at a time. You may have many exams coming up, and many things you need to do for them, but you can only really focus on one thing at a time! Sure you might be able to (or even need to) listen to music or watch TV when studying, but I doubt you’re able to study two things at once. You need to plan out your time, and take things one step at a time. When your working on something, focus on that and only that, don’t allow yourself to think about all the other things you need to do. This will add to your stress, and stop you from finishing what you working on in the most timely manner. I know this can be really hard to do, when you have so much you need to do, but try the best that you can. A good way to do this is to try and set small goals for yourself, or a timeline of what you want to get done. For example, don’t sit down at your desk for the day and think “by the end of the day today, I’m going to have finished reading all my notes for this class”. It’s so hard, during the day, to know if your going to meet this goal, and therefore how to adjust how your studying to make sure you get done what you need to do. Instead, try to set smaller goals. For example, “I want to be done unit 1 by lunch” or “I want to have reviewed all the quizzes by 11am”. These goals are much more manageable, and easier to visualize. You can tell early on whether or not you’re going to meet this goal, and how you may need to adjust, as opposed to when you have big, overarching aims. If you have a smaller goal and you know you won’t meet it, you can try to change the way you study to keep on pace, or give yourself more time for it, if you have time available. WIth large goals, it’s harder to do this. As well, when you have these smaller goals, it gives you one specific thing to focus on. During this time, figure out the best way for you to study and maximize the time that you have. 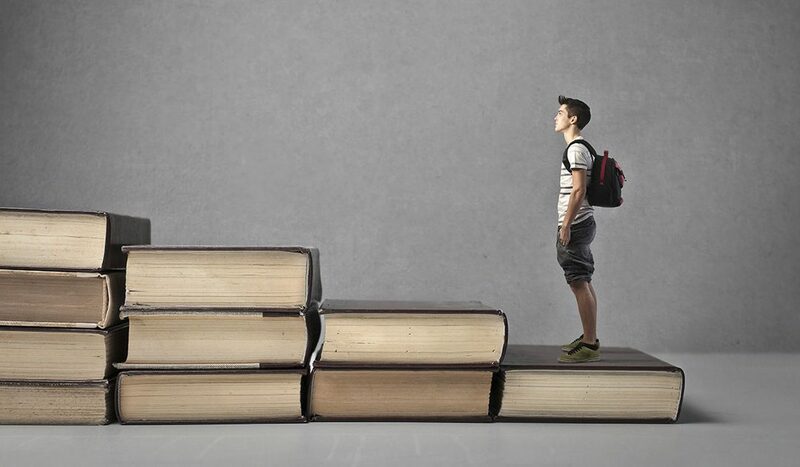 Small goals can also help keep you on a pace moving through studying. Sometimes you might not be able to finish every goal on time, but when the time for a goal is up, you can choose to move on from it. In this way, you can get a bit of everything done, so you don’t run out of time having studied the first half of the course completely, but barely had a chance to look at the second half. If you force yourself to move on when your time is up, you might have a chance to come back to it later, but at the very least you’ll have studied a little bit of everything. If you have a lot of exams that you need to study for, you’re probably tempted to spend every waking hour studying, because you have so much you need to get done. Your probably tempted to cut into your sleep time, and forget about any other thing you need to do. During exams, it’s okay to slack off on some of your responsibilities, the ones that don’t need to get done right away. For example, if you still have clean clothes (or clean enough clothes) you don’t need to do laundry. However, you still need to eat, but you don’t need to make yourself exceedingly complex meals, and you could always order in, and you still need to sleep, but try to minimize all the other things you need to do. It’s still really important, however, to give yourself breaks when your studying. Breaks are really important for increasing your productivity. Allowing yourself to take a 5 minute break every half hour or so is really important to give your brain a chance to relax and absorb information before it’s ready to go again. Make sure that you give yourself time for your responsibilities and your breaks and incorporate them into your schedule. I’ve had … many times where I’ve had a few exams early on, and then … nothing for over a week. In this long period where I had no exams, it’s so easy and tempting to just forget about school, especially if you have friends who are already done, but it’s really important to keep up your study mindset. If you slack off too much, it’s going to be impossible to get yourself to study again when you need to. You don’t need to study all day every day, but early on try to just briefly go over your notes, to get a sense of what you need to study later on and plan your study schedule. This way when it gets closer to the exam, you’re already oriented. You know how to start studying and can jump right in so much more smoothly! Also try to study for a bit, even just 5 or 10 minutes, every day. This way you still feel like your preparing for exams, you keep your brain in “school mode”, but you still have time to get in some much needed relaxation. Overall, figure out how best to maximize your study time so that you stay focused and get what you need to done, but also know that things will rarely work out exactly the way you want them to. That’s okay. Take advantage of the things you can, adjust your schedule, stay focused, and remain confident in yourself.